The Ohio State women’s soccer team, coming off its third consecutive win of the season, will try to continue finding success while taking on Florida Gulf Coast at home on Friday. Freshman forward Emaly Vatne received the Big Ten Freshman of the Week honor after her performance against Morehead State, recording a hat trick in the Buckeyes’ 8-0 win on Aug. 30. With three shutouts on the season, including the 1-0 win over Notre Dame on Sunday. Senior goalkeeper Devon Kerr has been confident in her playing ability and the play of her teammates as of late. Florida Gulf Coast is undefeated through four games, having prevailed in a 3-0 win over Niagara last Friday before a 3-2 win on Sunday over Michigan. In 2016, Ohio State faced Florida Gulf Coast in Fort Myers, Florida, coming away with the 1-0 overtime win. Kerr said Ohio State hopes to carry momentum into its game against the undefeated Eagles on Friday. With just a couple of days left before the match, Kerr said the team’s energy is high. “I think that we just want to keep working on our finishing and capitalizing on all of the opportunities we have and so we can score some more goals in the game,” Kerr said. 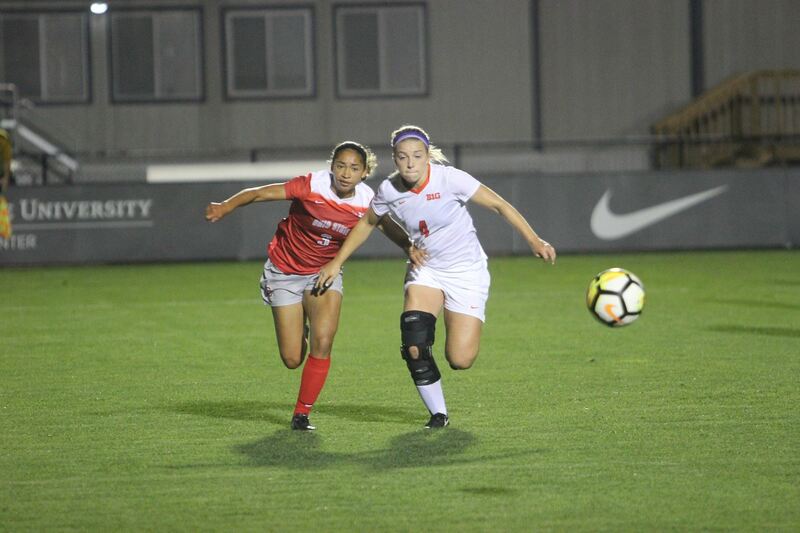 The Ohio State women’s soccer team closes out non-conference play on Friday versus Florida Gulf Coast at 5 p.m. at home. Information about women’s football you share is very good. I would love to read your article.